Plenty of us are looking forward to get the latest PS4 or Xbox One before Christmas eve to enjoy the most in the holiday season. However, supplies are scarce and so are any good deals on these two gaming consoles. Don’t lose hopes just too early though! 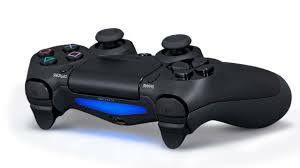 Newegg, electronic retailer, is offering PS4 Christmas offer in stock and ready to delivered. Comes with a steep price though. PS4 Christmas shoppers will have to pay much more than the regular $399 price tag if they wish to get the gaming console delivered before the eve. Newegg.com has started offering PS4 Christmas offers as bundle offers. No more of PS4 standalone consoles! These bundles start as high as $714 through $1529! Although this sounds like a greedy opportunity for the retailers, but that’s what consumerism is. If you have been looking forward to get yourself a gaming console before the holidays end, this could be a viable option. $714.94 bundle: this bundle includes a PS4 console, an extra DualShock 4 controller, a Turtle Beach Ear Force gaming headset, and 1 year subscription to Sony PlayStation Plus. This basic PS4 bundle also includes NBA 2K14, FIFA 14, and Madden NFL 25. $1529: this is the most expensive PS4 bundle including an XBox One (no it’s NOT a typo!) and 50″ HDTV. This bundle also comes with 1 year online subscription and an extra controller for each console. However, no games are included! The second bundle could actually be a good deal if you know someone else who is also looking to buy a gaming console this season. This would make the deal rather palatable. I am not sure what’d you do with 50″ brandless HDTV though. Read more about NewEgg bundles.